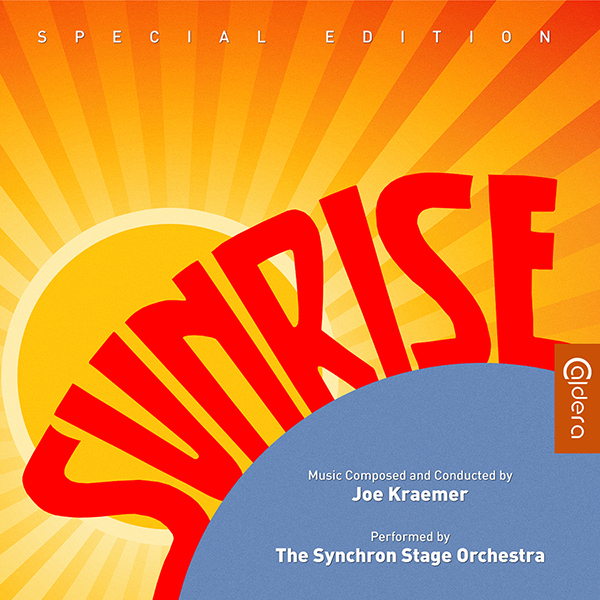 Caldera Records is proud to present the new score for the motion picture “Sunrise” from 1927, directed by F.W. Murnau, featuring music by Joe Kraemer, commissioned by the Dallas Chamber Symphony. The score had its world premiere, live-to-picture, in Dallas in October 2016, where it was conducted by Richard McKay. It had a second performance in August 2017 in Baden, Austria, where Kraemer himself conducted it live-to-picture with members of the Synchron Symphony Orchestra. A few weeks after the live performance, the orchestra reconvened at the Synchron Stage in Vienna to record selections from the score for this CD release. The 26th CD-release of Caldera Records features a detailed booklet-text by Gergely Hubai, an exclusive audio commentary by the composer, and elegant artwork by Luis Miguel Rojas. The CD was produced by Stephan Eicke and John Elborg.